Coatesville runner finds open field, racing toward the endzone against Downingtown East. DOWNINGTOWN — In a back and forth battle until the very end of the game, Coatesville took home this year’s belt — and at least a piece of the Ches Mont National Division title — over Downingtown East with a miraculous touchdown throw with three seconds left in the game, to win 38-27. The Red Raiders (8-1, 5-0) need either a win next week over Bishop Shanahan or a Downigntown East loss to Avon Grove next week to clinch the National Division title outright. Often a very good game every season, these two teams gave all in attendance at Kottmeyer Stadium their money’s worth in the electric battle on Friday night. With helicopters covering the game and not an open seat in either of the stands, both teams left everything they had on the field. “One of the better game’s I’ve coached in” said Coatesville coach Matt Ortega, and what a game it was. 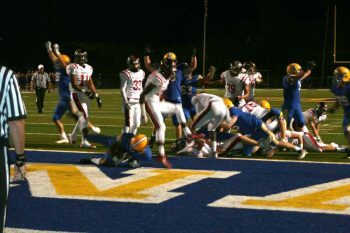 Downingtown East scores — and held a late lead over Coatesville, but the red Raiders managed toscore 12 points in the final seconds of the game to win and clinch at least a piece of the Ches Mont National title. The scoring didn’t start until late in the first quarter as it was primarily a defensive battle in the beginning of the game. Garvey Jonassaint was the first of the game to put points on the board for the Cougars with a big run up the middle. However, it was Coatesville’s Taun Evans who tied the game for the Red Raiders on the first play of the following drive with a huge run on a shovel pass from quarterback Ricky Ortega. Defense continued to play with a chip on their shoulder for both teams. 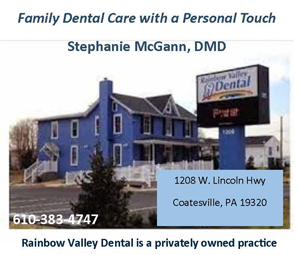 A forced fumble recovery for Downingtown and an interception by Coatesville took both teams offenses away from the red-zone and turned the ball over. It was until late in the second quarter that Coatesville’s star running back Aaron Young punched it in for the Red Raiders with 5:29 left in the half making the score 14-7. Coatesville then kicked to Downingtown who set up around their own 30 yard line and was able to push down the field to get within scoring position. On a sweep around the end and down the sideline, Jonassaint put more points on the board for the Cougars and made the score 14-14 with 2:17 left in the half. Coatesville got the ball back but was unable to produce a scoring drive and the first half of the game was now over. Downingtown got the ball at half time and on the first play quarterback Bryce Lauletta was able to find tight end Connor Nobel on a huge pass down the field that set them up in scoring position yet again. Like it worked twice before, Downingtown gave the ball to Jonassaint who was able to complete the hatrick and give the Cougars the lead. Coatesville now had possession after the Cougar touchdown and were determined to score. Several great plays ensued on this drive including a big one handed grab by Evans who converted a crucial first down for the Red Raiders. Another run by Aaron Young put them within the red-zone and quarterback Ricky Ortega was able to punch it in of a quarterback keeper up the middle. 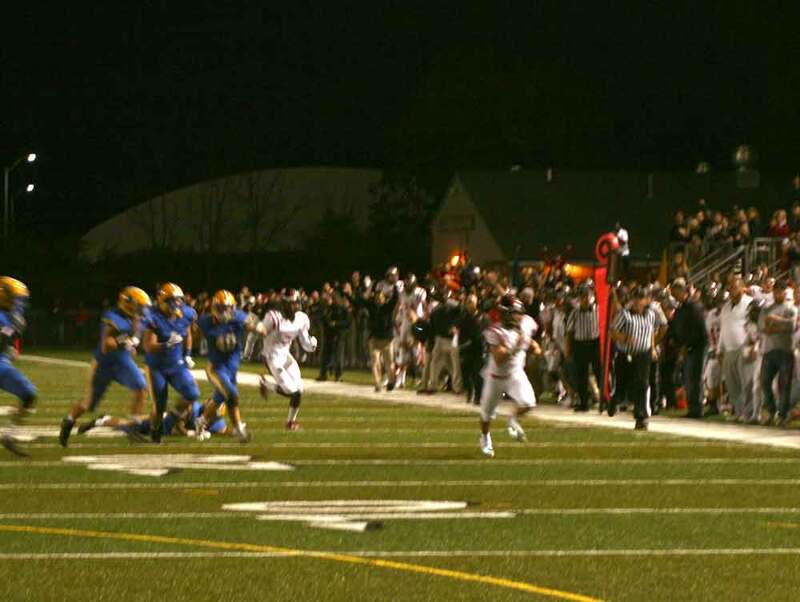 Coatesville missed the extra point and still trailed Downingtown 21-20. After a three and out on the following drive, Coatesville started their drive on their own 34 yard line. After a big catch by Johnny Clifford on third down, Coatesville still faced a fourth and one in which Aaron Young was able to convert into a first down with a tough run up the middle. 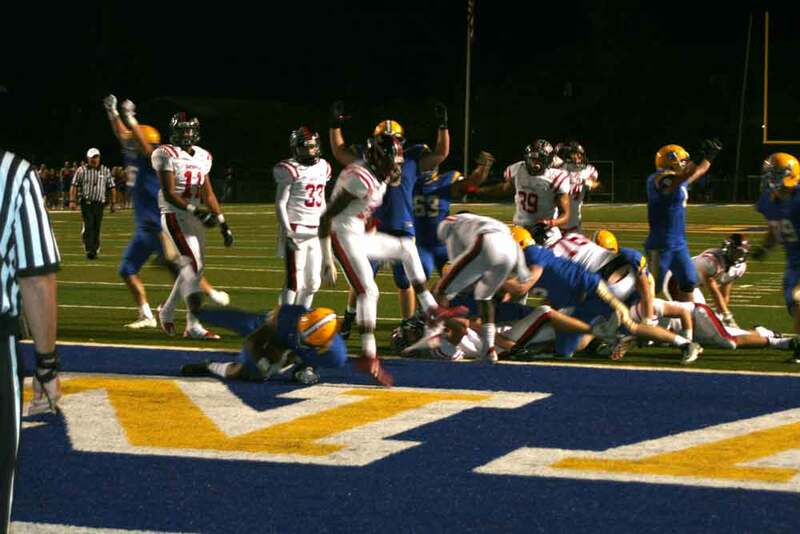 Following that play on first down, Tuan Evans was able to score another touchdown for the Red Raiders but after a missed two point conversion, Coatesville only led Downingtown 26-21 with 2:07 left in the game. Coatesville kicked to Downingtown who set up shop on their own 34. Downingtown marched down the field with play after play strategically calling their timeouts and using the clock to their advantage. After four straight runs by Jonassaint, Downingtown was now in their red-zone and with 49 second left on the clock, Brassir Stocker was able to score for the Cougars making the score now 27-26. Trailing by one, Coatesville recovered the pooch kick at around their own 40 yard line. With 49 seconds left in the game, quarterback Ricky Ortega was able to connect with Tuan Evans down the field on a huge play that put the on their own 20 yard line with the clock still running. Ortega than spiked the ball to stop the clock with 19 seconds left in the game. After a sideline meeting the Red Raiders took the field for what would be the defining moment of this game. After an offside call, Coatesville was now looking at second down and 15 on Downingtown’s 25 yard line. Ortega yelled the cadence and the ball was snapped with the second ticking off the clock. Ortega scrambled to one side of the field than back to the other when he sensed defensive pressure. Upon scrambling back toward Coatesville’s bench, Ortega threw up a bomb in the back of the endzone to find Tuan Evans in the very back corner who was able to tip-toe his team to victory with a touchdown with three seconds left on the clock. Although the extra point attempt failed, Coatesville had a 32-27 lead with almost no time left. The team stormed the field and celebrated their victory. 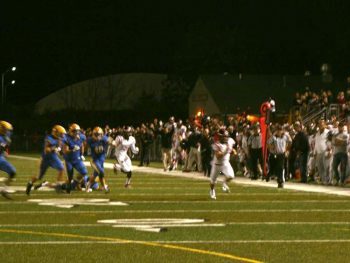 On the following kickoff, Downingtown tried to pull the old school back yard football lateral trick by throwing and pitching the ball behind them in efforts of finding a teammate open to run down the field and score. This attempt was thwarted by Coatesville as they were able to intercept the ball being thrown around and score the final touchdown of the game with time expired to give them the win over Downingtown 38-27. Coatesville remains undefeated in league play and Downingtown now tries to go into this week seeking to avenge the upset they suffered at home. The Red Raiders now face off against Bishop Shanahan in a home conference game at Coatesville and Downingtown faces off against Avon Grove in away game against the Red Devils. Both games kickoffs begin at 7 oclock.